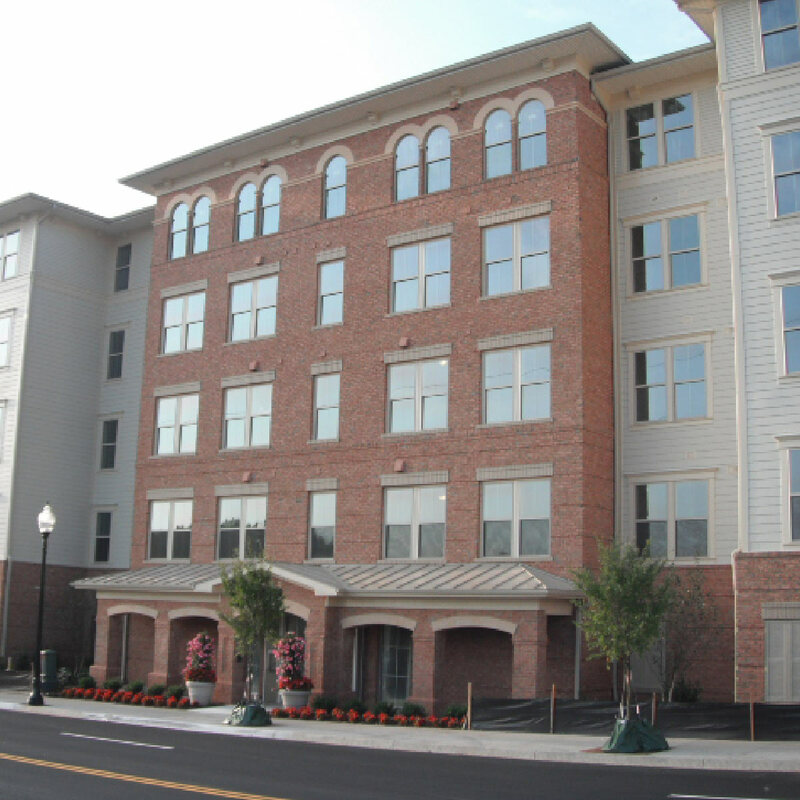 CRP joined The Christopher Companies in developing The Courts at Historic Manassas, a 139-unit rental community in downtown Manassas, Prince William County, Virginia. The project was originally planned as a condominium; CRP and TCC increased the site density and redesigned the project as a rental community. Manassas, located approximately 35 miles west of Washington, D.C., is a bedroom community of 45,000. The terminus of the VRE commuter rail line is one block from the project. VRE has nearly 5,000 riders a day on the 70-minute trip to D.C.Market demographics skew toward young (29-year median age), moderately affluent ($78,000 median HH income) and the City’s population is growing (4+%/year projected). The City center is a 20 square block area of brick and clapboard shops, galleries, restaurants and offices. Typical suburban development (shopping centers, auto dealers, hospital, etc.) occur along Routes 28 and 234, running north and northeast from the City.